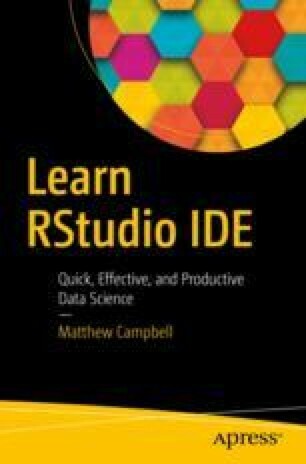 RStudio is an integrated development environment (IDE) that adds modern features like syntax highlighting and code refactoring to R. The strength of RStudio is that it brings all the features that you need together in one place. Before we install RStudio, we will need to install the latest version of R for our operating system as well as another program called git. Both of these software packages are integrated into RStudio, but they do not come with the RStudio IDE.